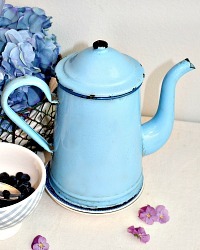 Vintage Enameled Coffee Pot in a beautiful color, a blue that hints at the French ocean. Nice size, the very top rim has a navy blue accent, c'est magnifique! These are getting more rare to find in this condition. This has been loved and used in a French family home and cuisine for almost a century, there is wear and dark coffee staining on the inside, as expected. 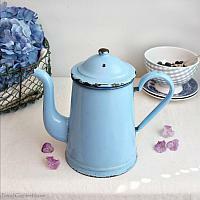 A decorative addition to your antique and vintage enamelware collection. This pot has a goose~neck and "split end" spout. Of note, loss to the enamel on the lid, and the underside of the spout. 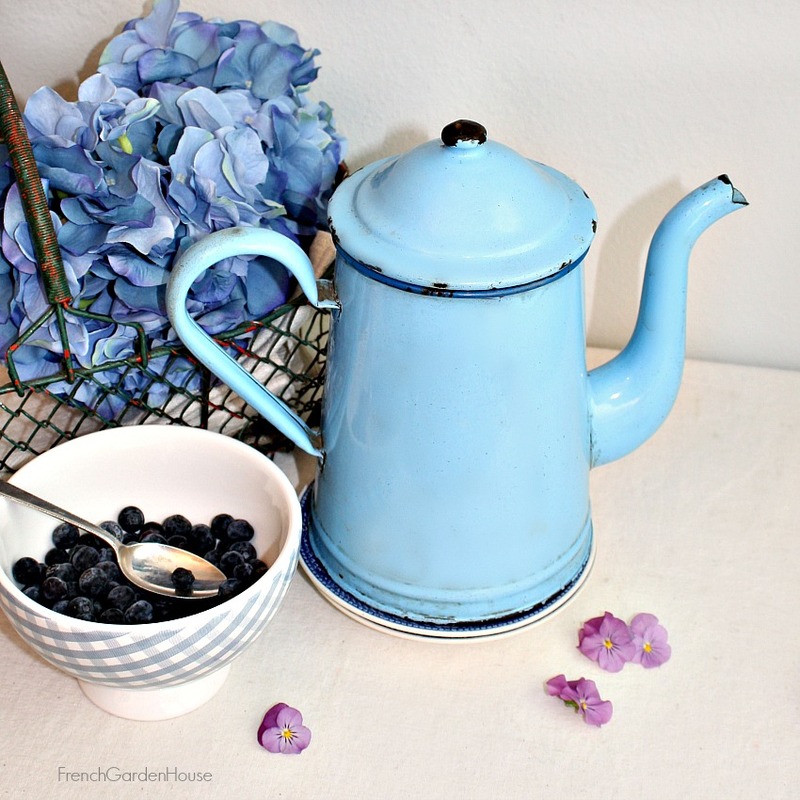 Display this in your French country home to give it that French charm.